Disclaimer: This is not tax advice. Go see a professional. With the 2016 taxes completed, I figure I would go over how taxes fared for me in the first year of early retirement. Granted 2016 was a transition year into early retirement, so my income came from 4 different sources: Work and bonus money from January (earned income), qualified dividend income from my brokerage account, penalty free Traditional IRA withdrawals via Reg 72(t), miscellaneous income (very small income from the website). So while 2016 was a mixed income year, I anticipate the years going forward to net the same results when it comes to taxes…paying no/low taxes. This is a nice feeling compared to when I was working and paying more than my fair share of taxes. My sources of income will also only be qualified dividend income from my brokerage account, penalty free Traditional IRA withdrawals via Reg 72(t), and miscellaneous income from the website. The goal for me in early retirement has always been to stay in the 10 or 15% income tax bracket. By staying in the 10 or 15% income tax brackets, my qualified dividends from my brokerage account will be tax free (capital gains as well, but I hardly ever sell). For 2016, my income from working (mostly bonus money I was waiting to get paid out) was $11,776. Early Penalty free IRA withdrawals for 2016 came in at $3610. For 2016, I prorated my 72(t) distribution simply because I didn’t really need the money, but wanted to get the SEPP (substantially equal periodic payments) started. In 2017, this IRA withdrawal will be higher. Miscellaneous income came in at $772 from various things. This puts my income at $16,158. I did make an IRA contribution last year of $3150 and January I had $2321 of my pay go into the retirement plan. So that adjust my income down to $10,678. Also a capital loss of $229, further adjusting income down to $10,449. 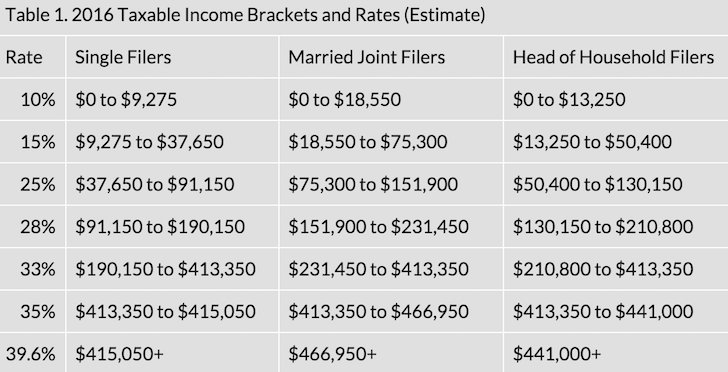 Basically I’m barely in the 15% marginal tax bracket. Lets not forget, my qualified dividend income of $6,487. However, because I am in the 15% marginal tax bracket, I don’t have to worry about any taxes on this money at all. So total income for 2016 comes in at $16,936. Next we have to take out the standard deductions and personal exemptions of $6300 and $4050 respectively. These typically also increase a little every couple years. I don’t itemize, because I just don’t have anything to itemize really. Taking income of $16,936 and subtracting out the $10,350 deductions and exemption total brings me to $6586 taxable income. Basically I owed taxes on $99 (6585 less the tax free qualified dividends of $6487) or roughly $10 in taxes on income of $16,936. (I did get a refund subsequent to my efile, since a ton of taxes were withheld from my bonus). This puts me at an effective tax rate of basically 0%. Given my living expenses for 2016 were at $7200, this leaves an almost $10,000 cushion.. This was all by design. As going forward, my total income will be roughly the same (although qualified dividend income from the brokerage will be higher, however it doesn’t change my taxes). 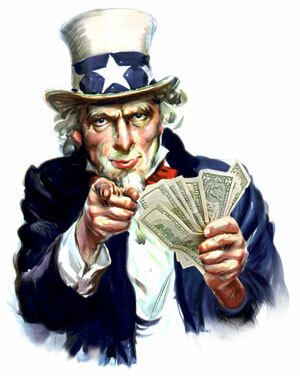 I will be paying practically nothing in taxes on about $17,000 of income. This is also why I’m not bothering to do roth conversions. I already don’t have to pay taxes on my traditional ira withdrawals, so why bother. To learn more about the details of my early retirement income strategy and Reg 72(t) read this and this.